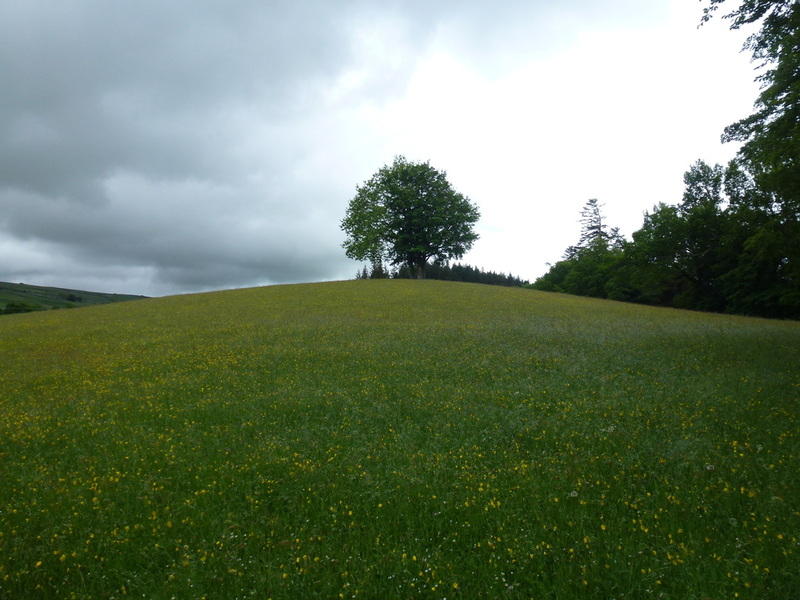 ​There was definitely rain in the air as we readied for breakfast and loh and behold as soon as we swung our packs on down it came. We were to be accompanied by drizzle until we reached Low Force therefore a wet morning awaited us. 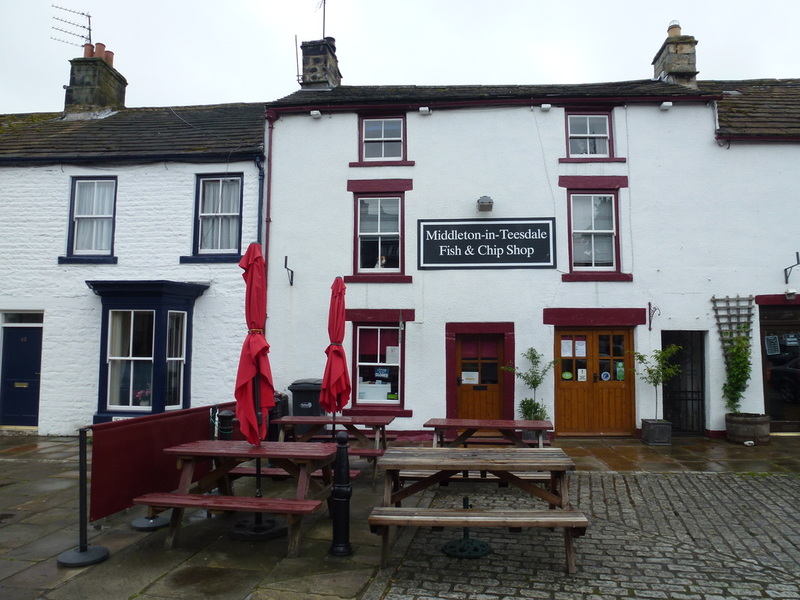 Breakfast in The Teesdale Hotel was super and we would readily stay here again - they have got everything right. Big room, good food and well-kept beer equals happy punters. 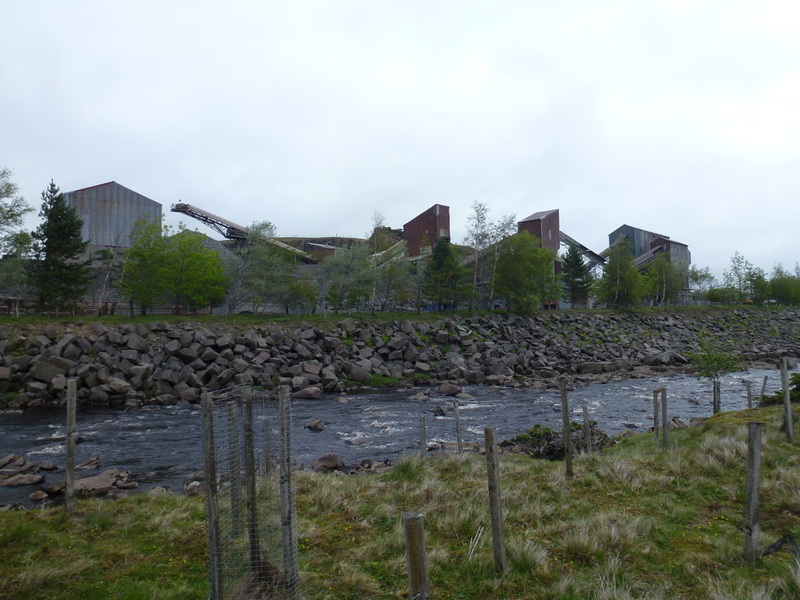 Today was a nice and flat 10 miles with the company of the River Tees for the most part. 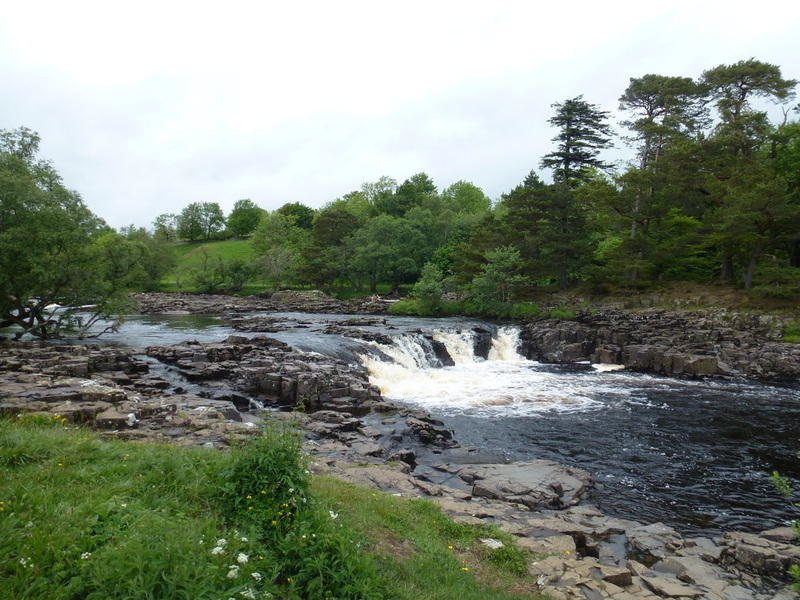 We would take in High & Low Force and whilst we had done a fair bit of today's route last year (link here), we were still really looking forward to the day. 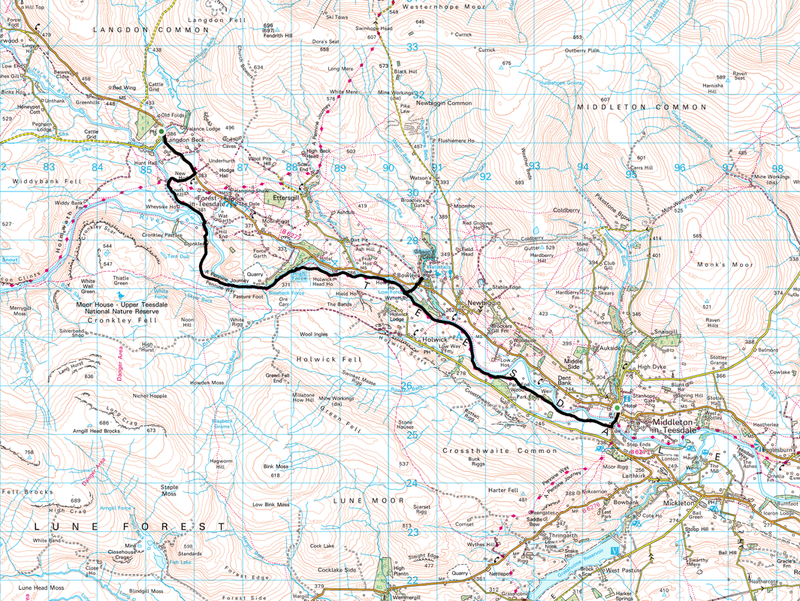 We left the village and headed back down the road to rejoin the Pennine Way just over the bridge. From here we were soon walking along a delightful meadow path and whilst we were in drizzle, this was still a lovely stretch of the route today and there were plenty of joggers and walkers out. 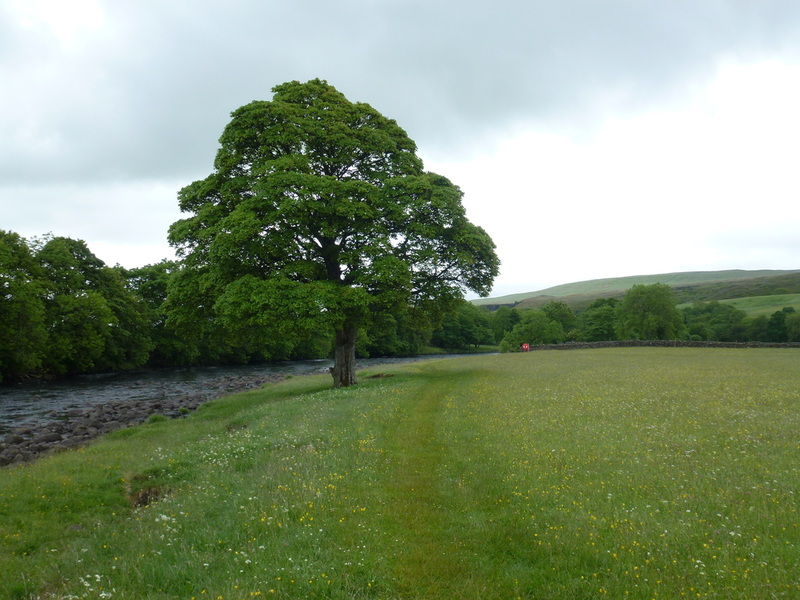 The path left the company of the river to cut off two bends before rejoining the Tees at some power lines before another delightful river and meadow walk that passed between the villages of Newbiggin and Holwick. 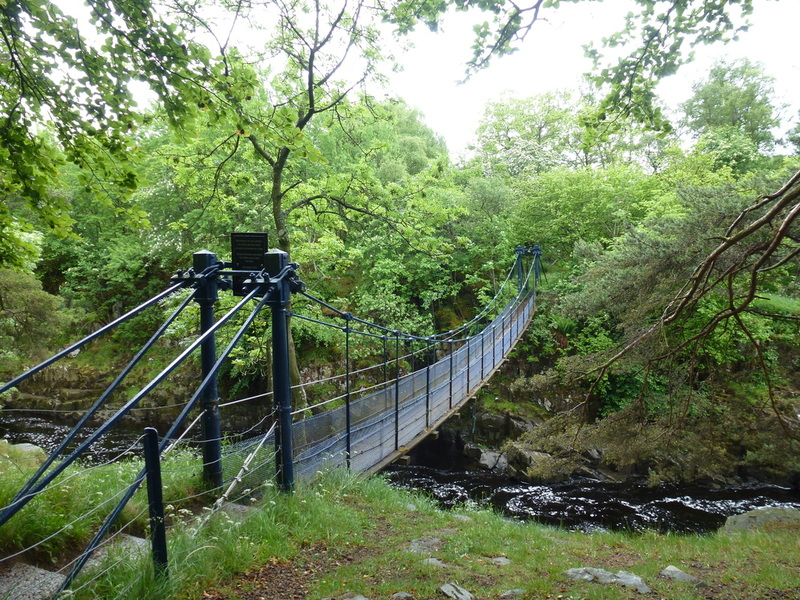 We then arrived at the Wynch Bridge, which is a suspension footbridge and owes its existence originally to the Holwick lead miners who used it to get to the lead mine at Little Eggleshope in the fells to the north. It spans a ravine overshadowed by trees and the original bridge was suspended on hand-forged wrought iron chains, and reportedly had only a single handrail on one side as support. 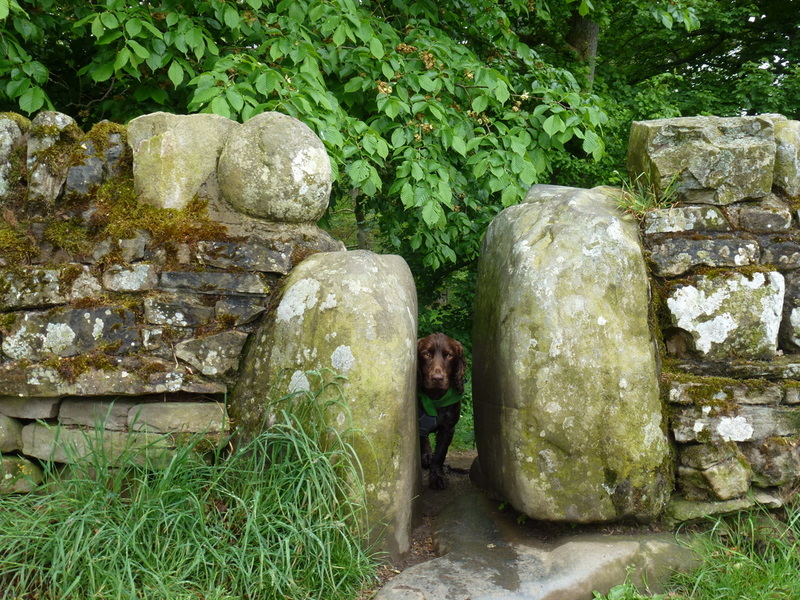 Built in the mid-18th century it collapsed in 1802 when a chain broke and a man was drowned. The current bridge replaced it in 1830, financed by the Duke of Cleveland with its maintenance paid for by the miners' subscriptions. It has 2 spans and the chains are suspended over cast iron columns and the footway is of timber. The bridge was strengthened in 1992 and is Grade 2 listed. The bridge does sway when you cross it and ordinarily Pennine Way walkers do not have to pass over it. 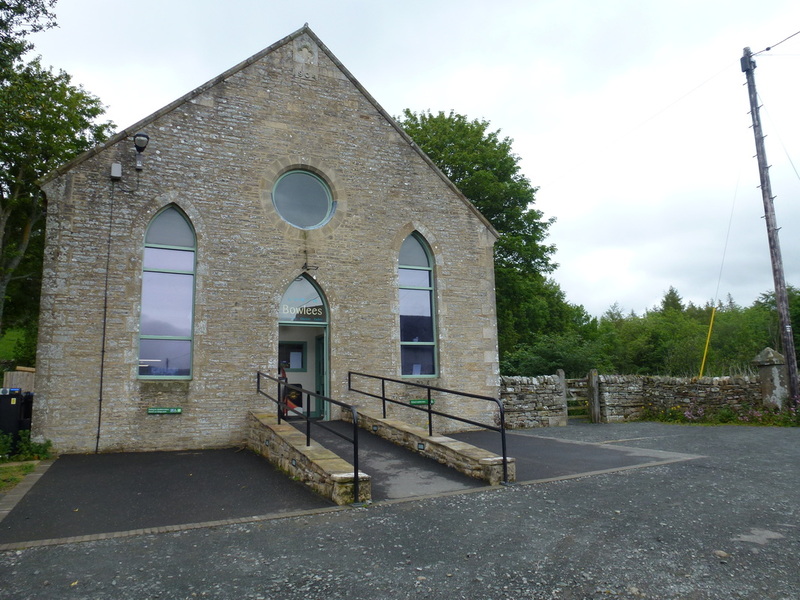 However we were popping in to the Visitors Centre at Bowlees for some light refreshment and it also needs to be crossed to get a half decent photo of Low Force, which is very near the bridge. 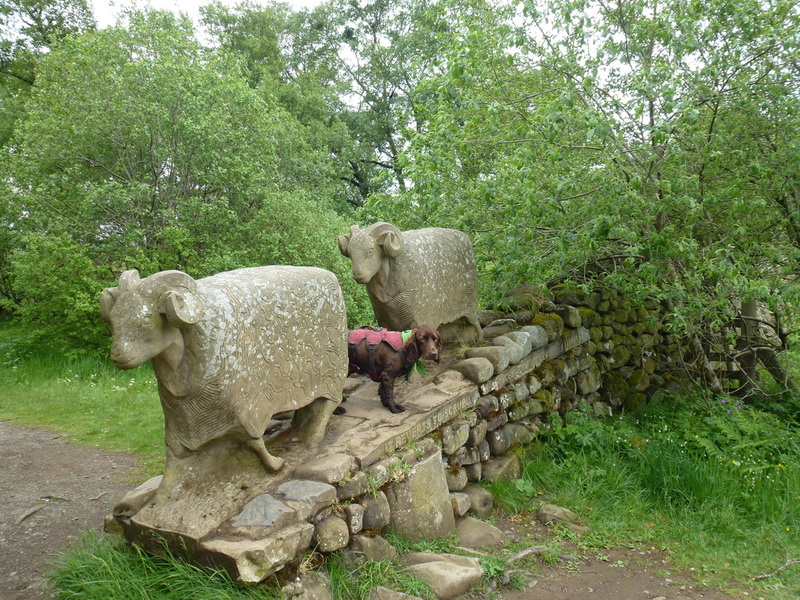 Once suitably refreshed by a somewhat weak Hot Chocolate we crossed the Wynch Bridge once more and passed by the sculptured sheep before heading along the river to reach High Force. 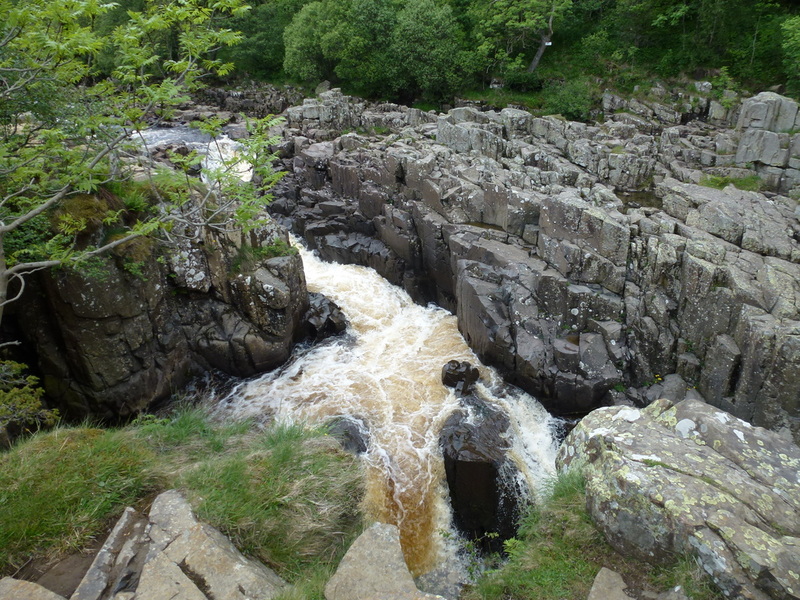 The waterfall at High Force was formed where the River Tees crosses the Whin Sill - a hard layer of igneous rock. The waterfall itself consists of three different types of rock. 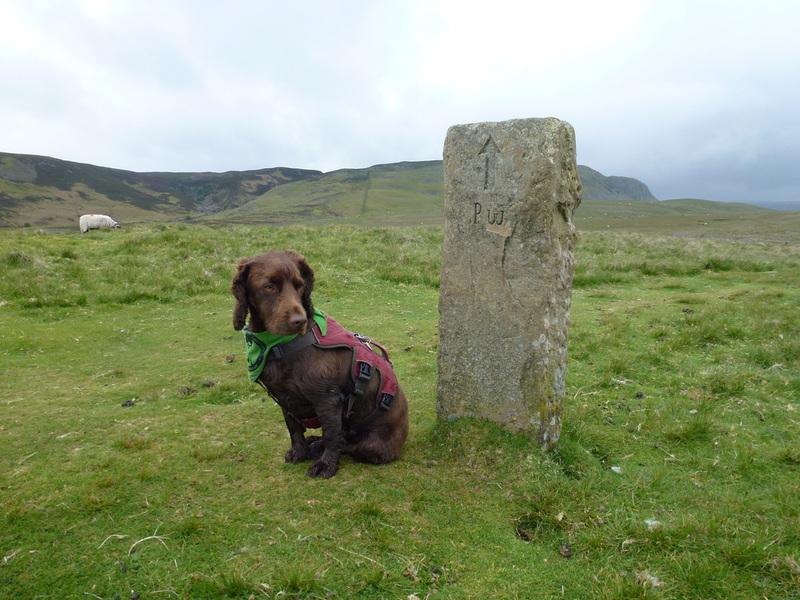 The upper band is made up of whinstone, or dolerite which takes a lot of time to erode with a middle thin layer of Carboniferous Sandstone that was baked hard when the Whin Sill was molten 295 million years ago. The lower layer is made up of Carboniferous Limestone which is more easily worn away by the waterfall. The wearing away of rock means that the waterfall is slowly moving upstream, leaving a narrow, deep gorge in front of it. 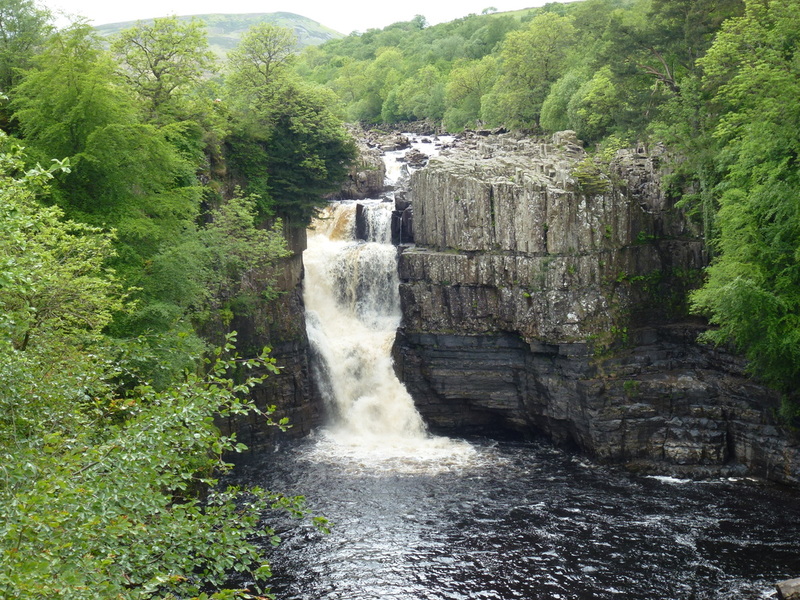 High Force is a wonderful sight and it is worth taking your time to look around the area and feel the power of the water - despite little rain of late, the water was powering through the gorge. 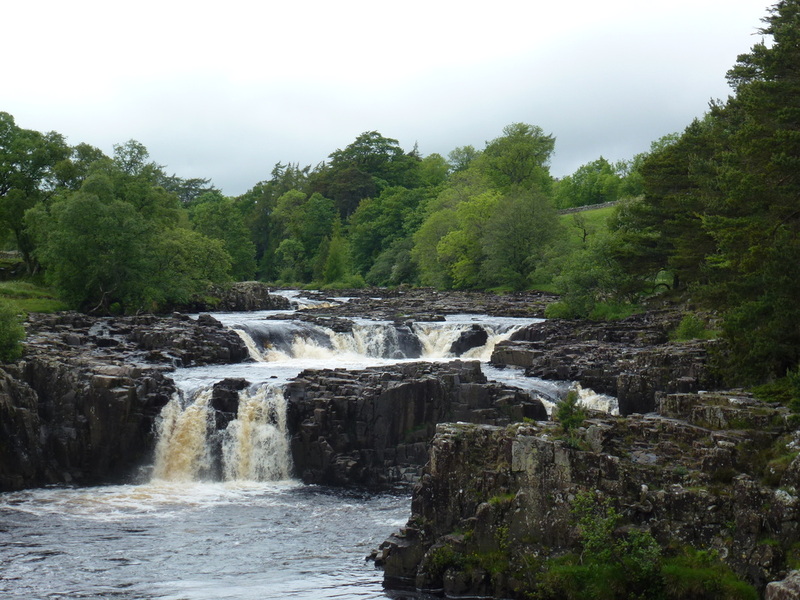 Apparently people try and canoe over the top of High Force - seems a bit daft that! 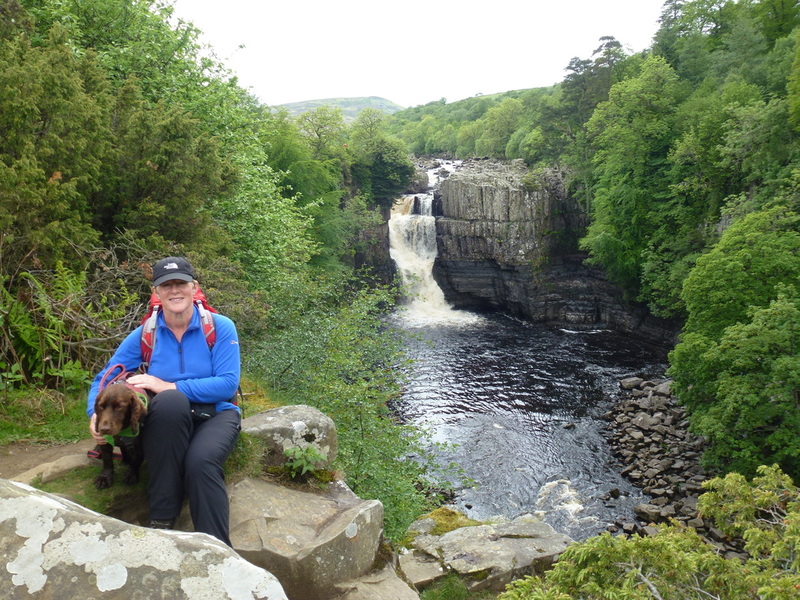 We had High Force to ourselves for a while and therefore stopped for lunch and had the gorgeous pies we bought from the Chippy in Middleton. Pies gone we continued along the route which carried on hugging the Tees to pass opposite Force Garth Quarry before leaving the river temporarily to bypass Bracken Rigg and High Crag. With the drizzle back with us again, there was now a tricky descent to reach Cronkley Farm from where we rejoined the river to cross over Cronkley Bridge. Shortly after the bridge the Tees departed to the West and we would see it again on tomorrows leg. 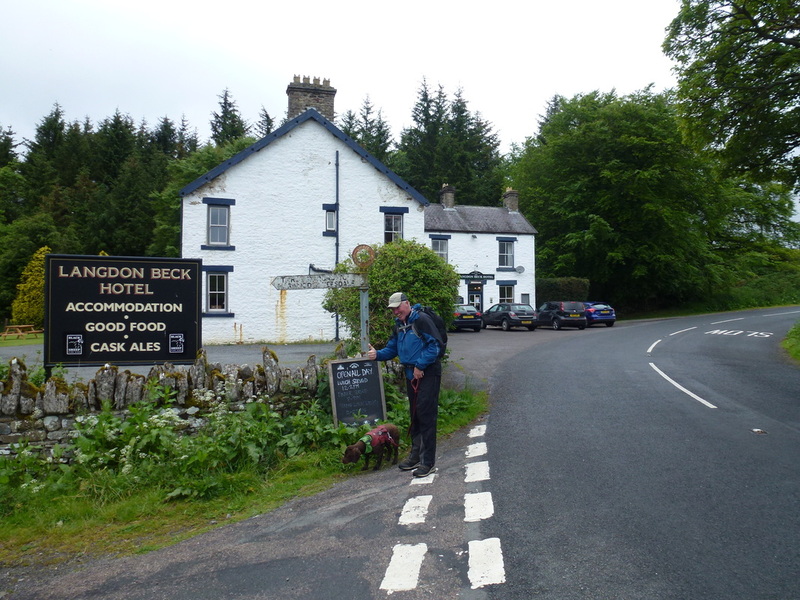 We now followed Langdon Beck for about half a mile before leaving the Pennine Way to travel the mile or so to our B&B at the Langdon Beck Hotel. Reaching the B&B via the quiet B6277, the sun came out and we were treated to lovely views over towards Cronkley Scar. Typical - just as we finish the sun comes out! 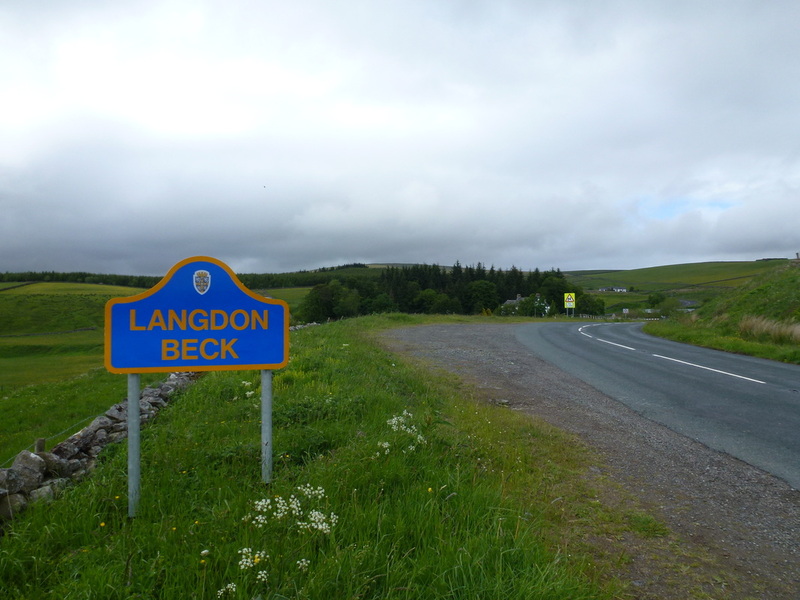 We were the only people staying at Langdon Beck therefore they kindly did our washing and allowed us to hang it out to dry all over the 1st floor of the hotel which was very kind. We had a quick drink before showering and then enjoyed a lovely meal cooked by Sue the owner - all washed down by a few pints of real ale. A perfect end to a lovely leg of the walk. 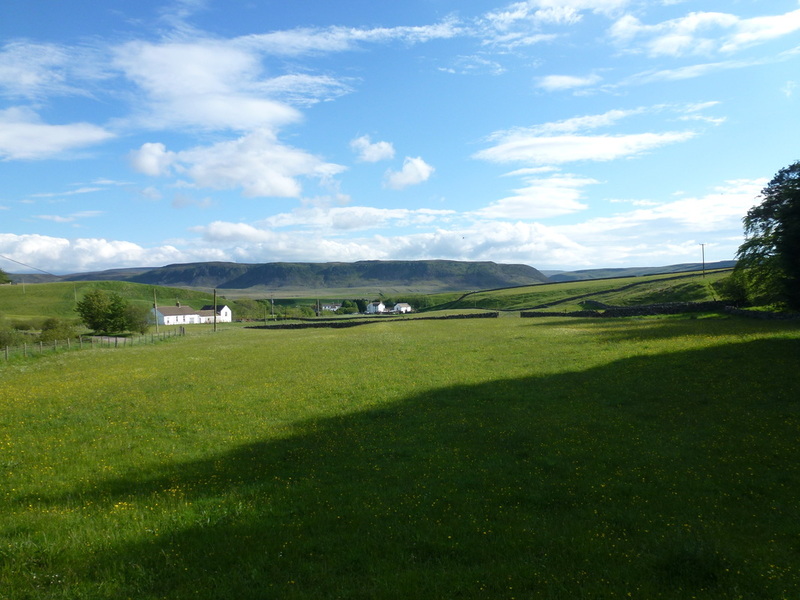 Out in the middle of nowhere, however this was another B&B which exceeded expectations. Great beer and food plus they did our washing which was really good of them. 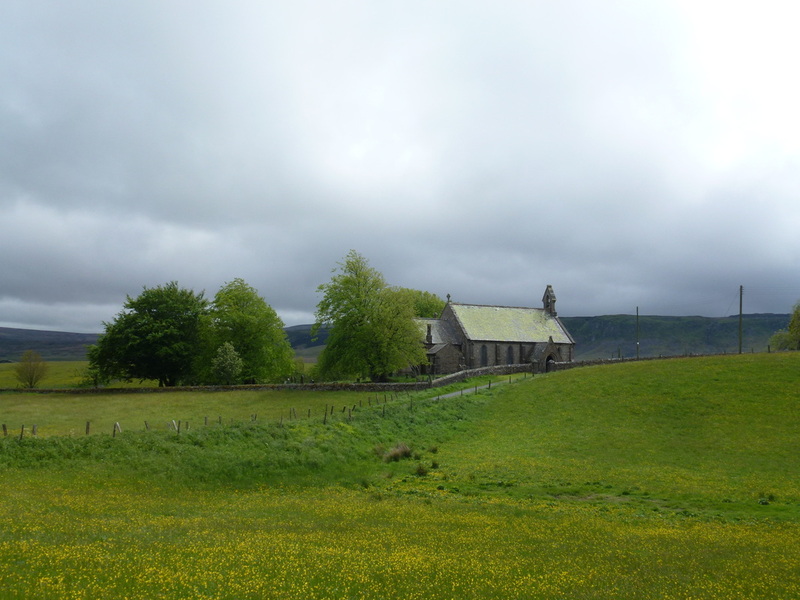 Despite its remoteness, the pub was very busy that night.